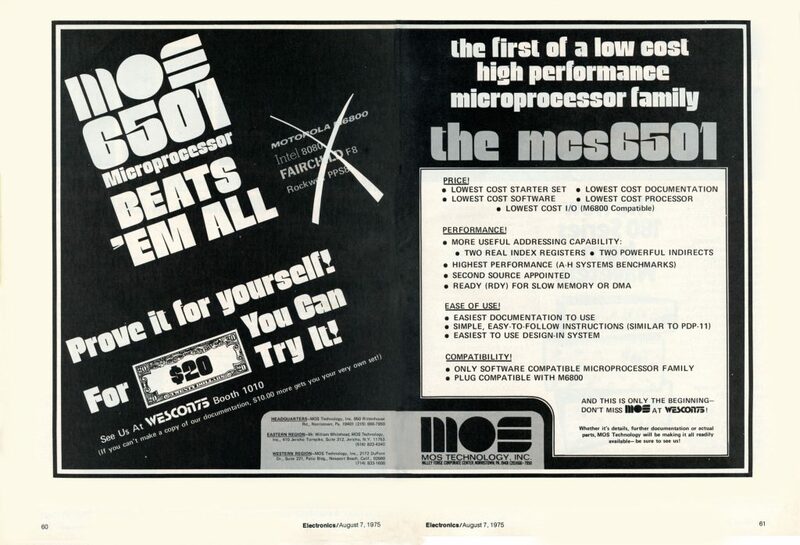 An advert in the magazine Electronics August 1975, the price is incredible low for these days at $20. 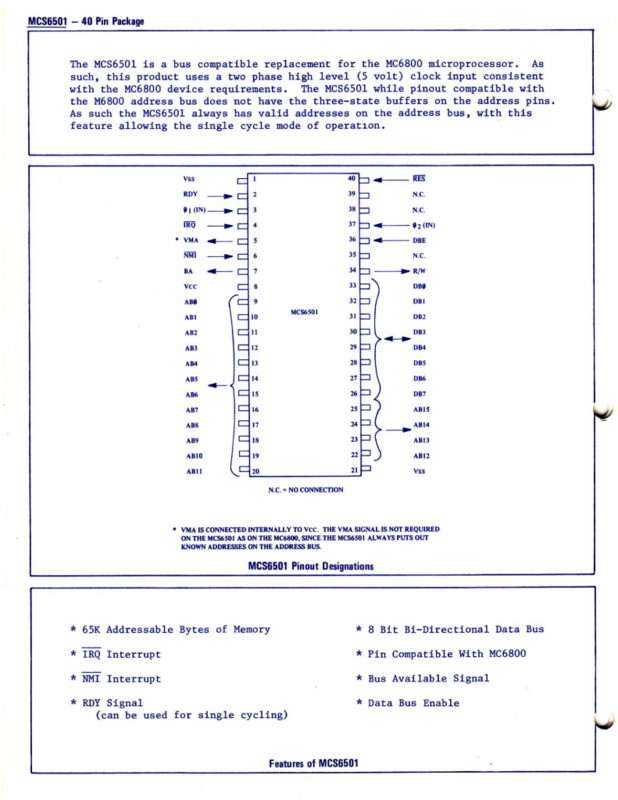 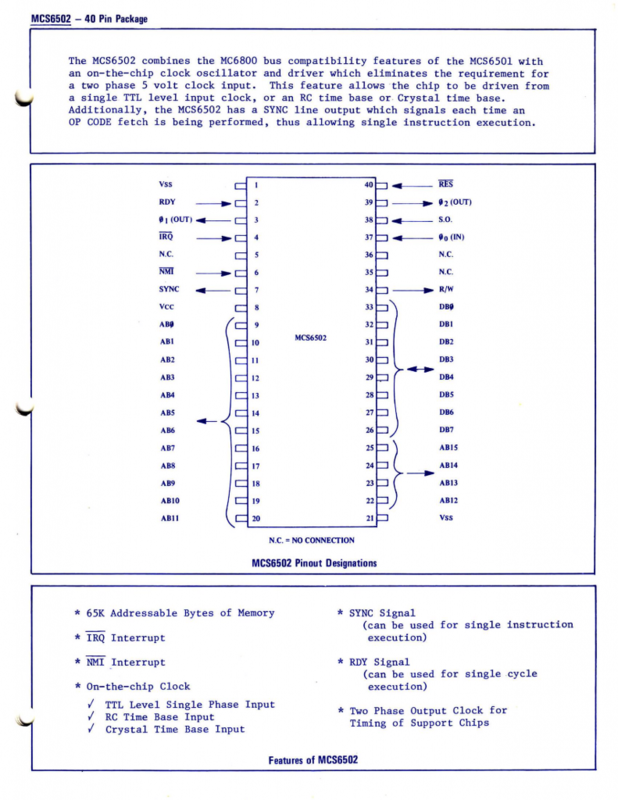 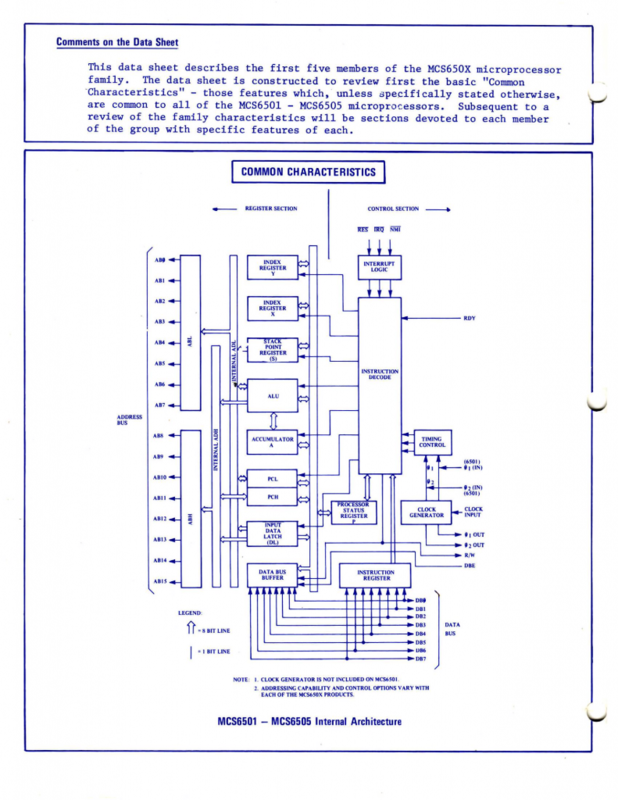 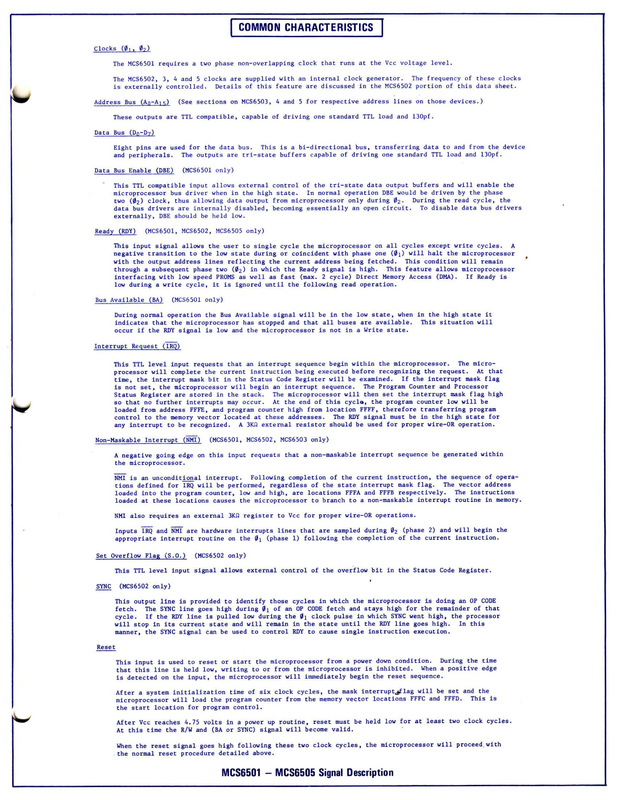 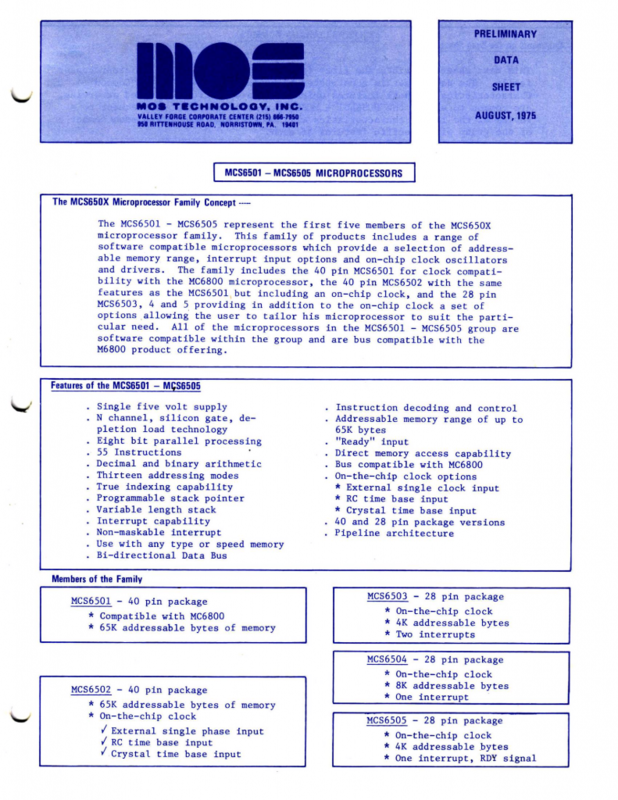 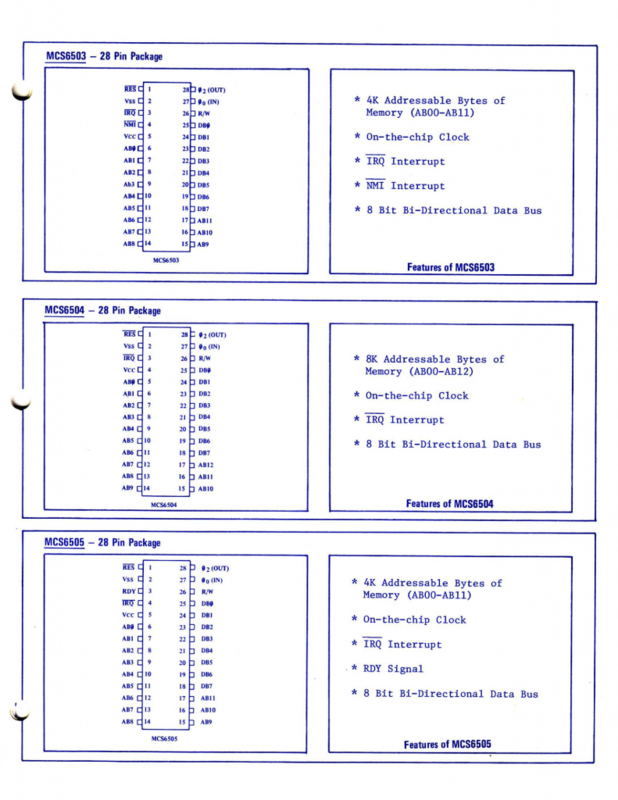 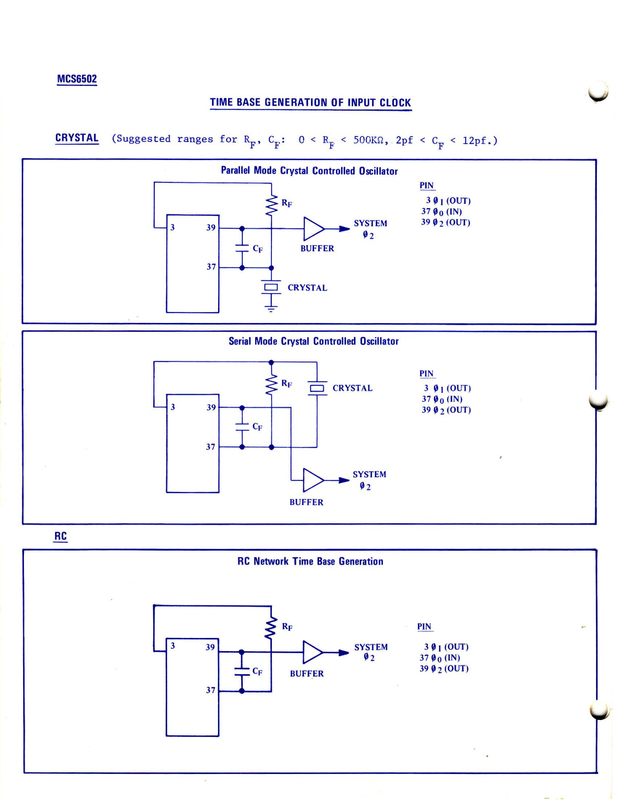 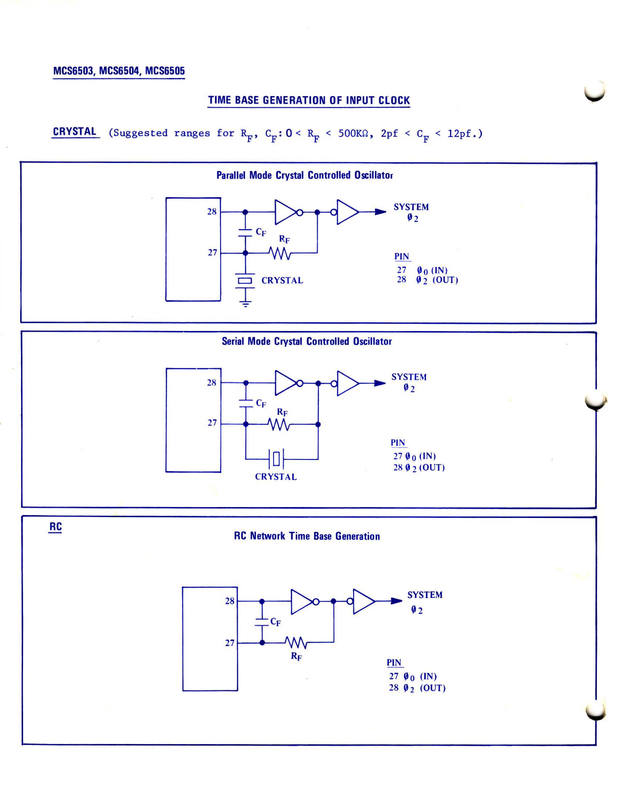 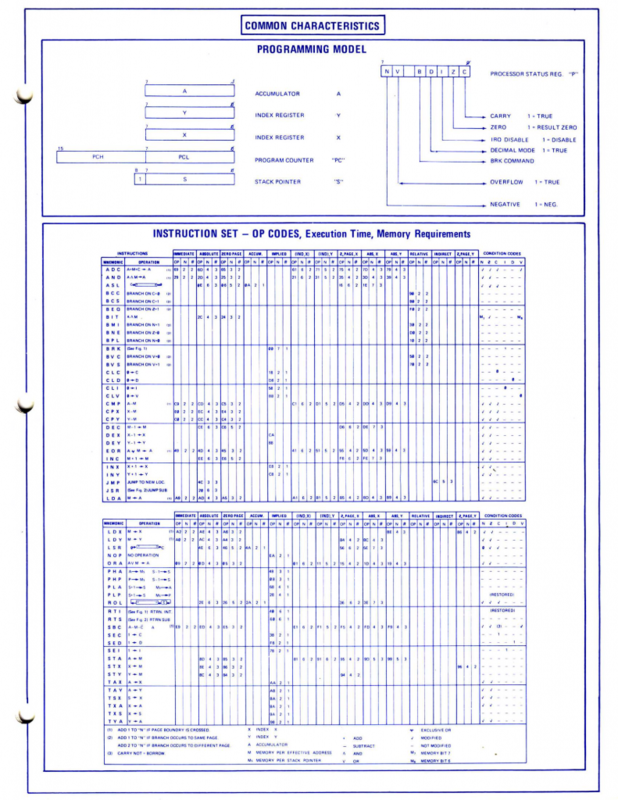 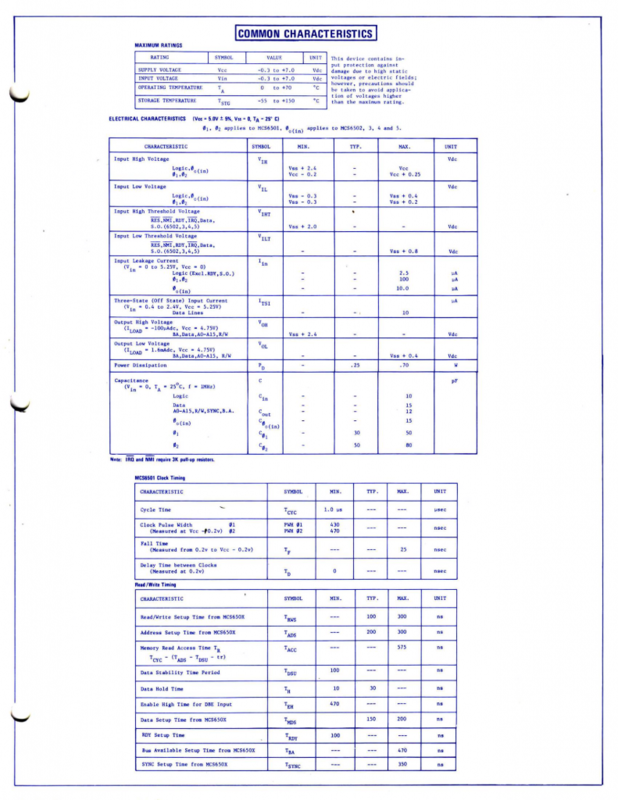 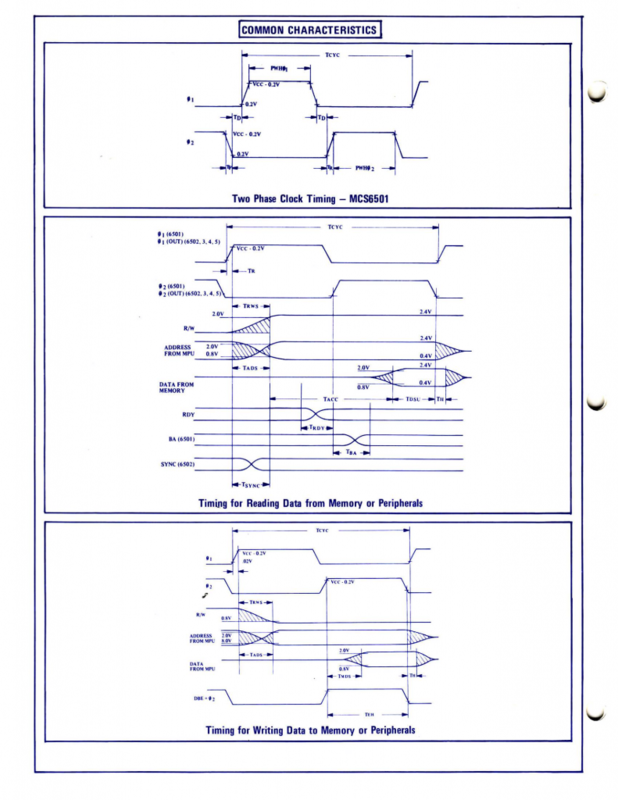 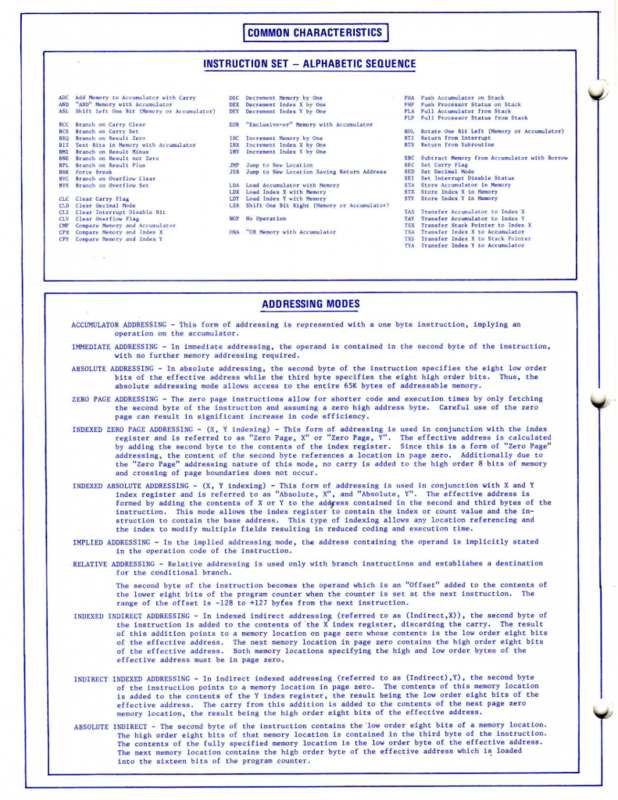 The (preliminary) datasheet of August 1975 is the only document where the 6501 is documented. The following table summarizes what makes the 6501 pin compatible with the 6800. 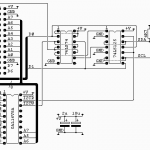 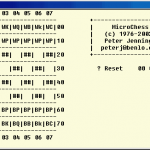 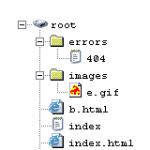 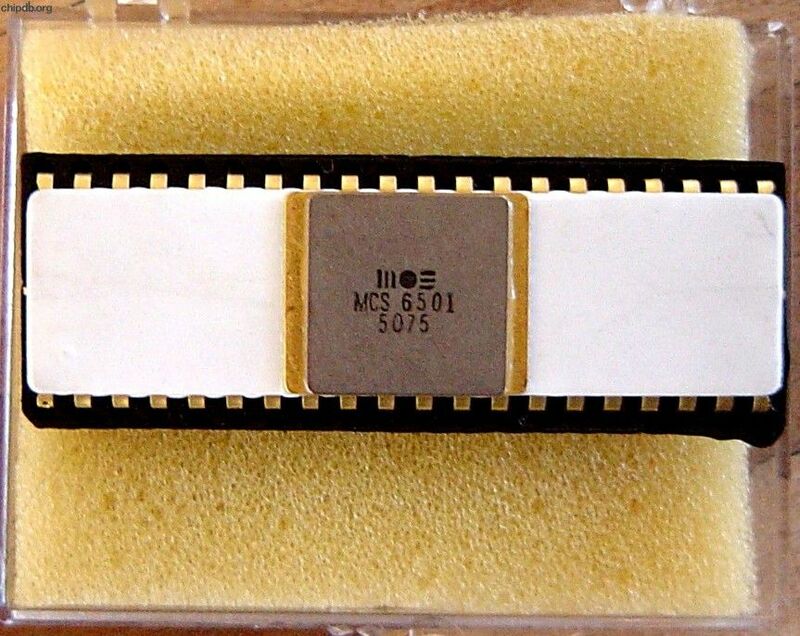 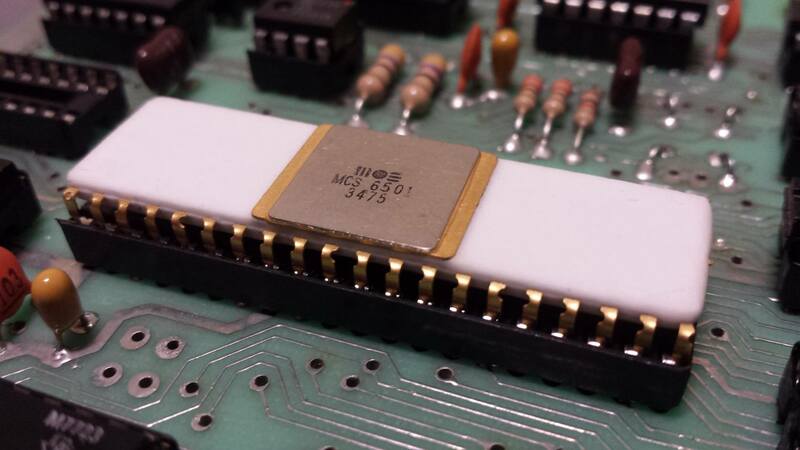 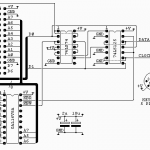 5 Valid Memory Address (output) Valid Memory Address (output, always high) N.C.
36 Data Bus Enable (input) Data Bus Enable (input) N.C.
More photos found on the web, showing the 6501 is at least produced in week 34 to week 50 of 1975.